Delivery 7-10 days after receiving the payment. 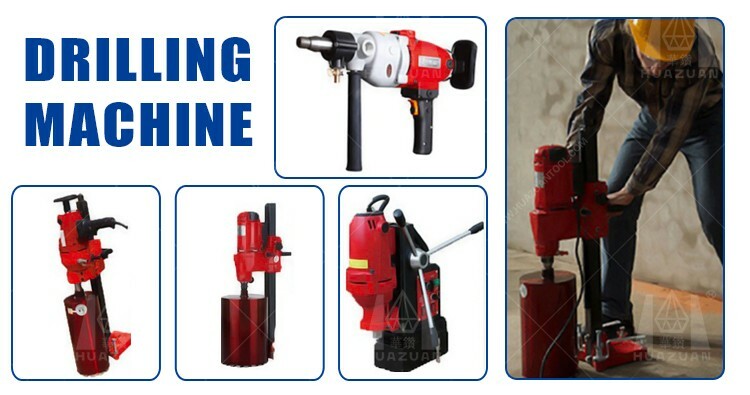 There are many kinds of diamond core drill bits for your choice, you can click photo to check details. 1. 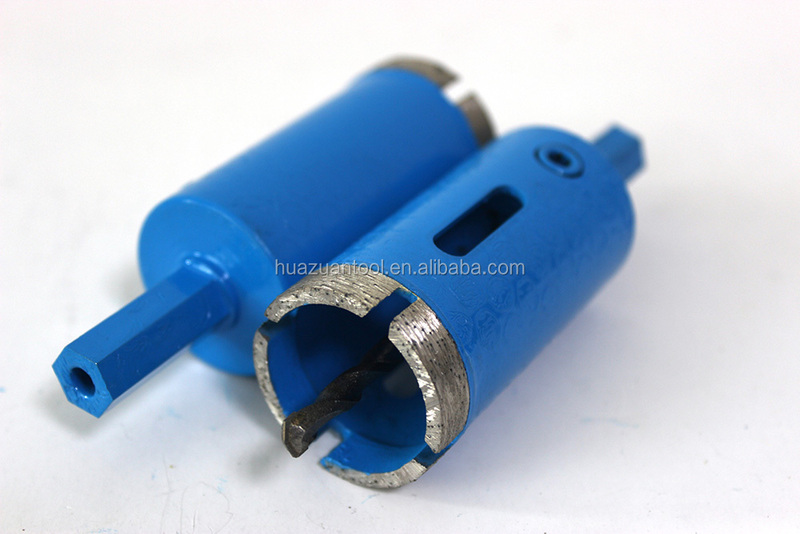 Roof top V shape segment diamond core drill bit for concrete, reinforced concrete. 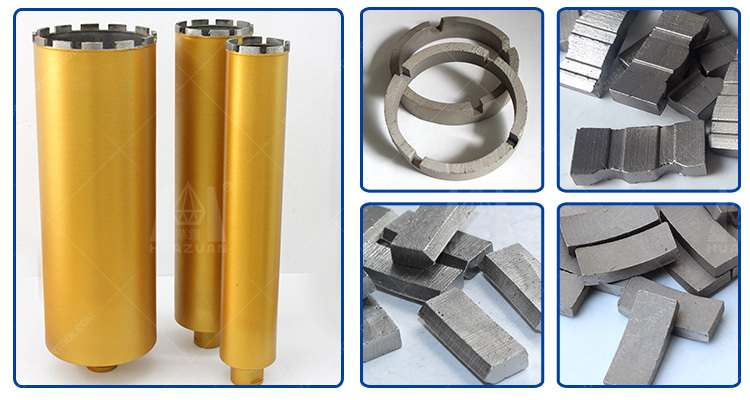 Diamond core bit Segments including:1)crown type; 2) turbo type; 3)roof type 4)straight type for you choose. 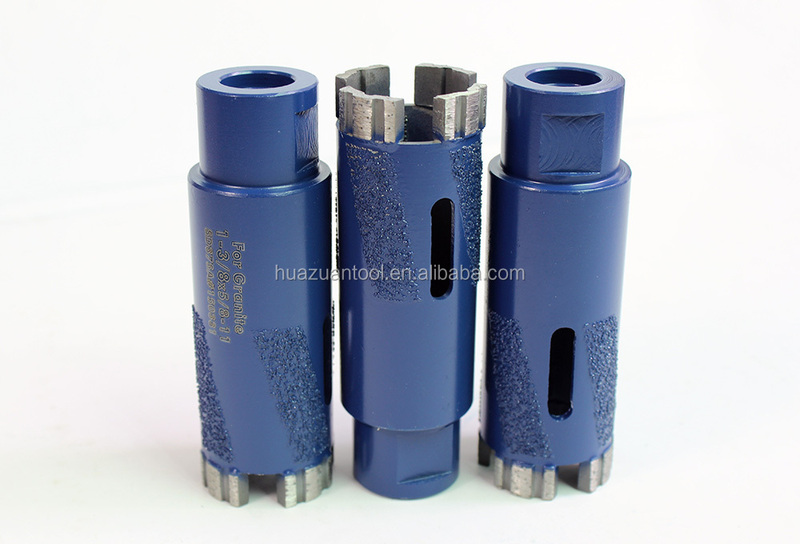 Diamond Core Drill Bit is a cylinder used for plunge cutting out materials. It is composed of a heat treated steel core and the working part which consists of diamond and metal powder. 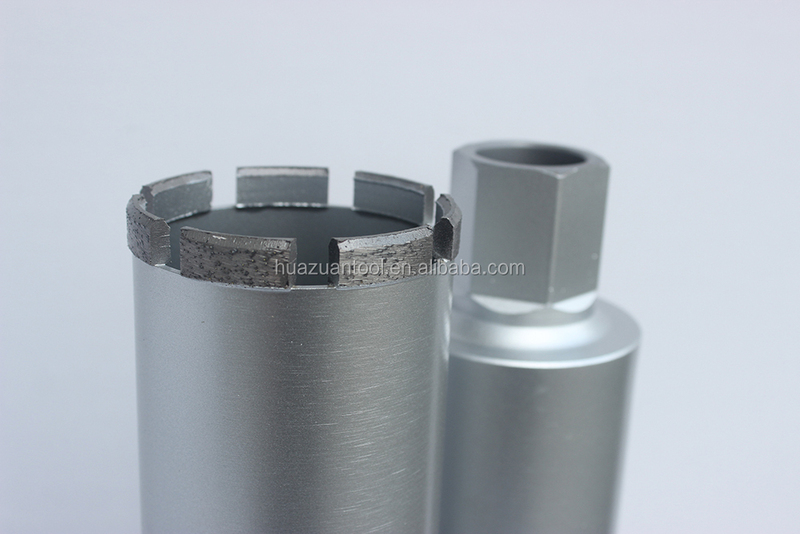 Diamond core drill bit usually have a single layer of diamonds, held by a touch durable nickle alloy. Core bits are able to retain their original shape and dimensions through their working life. Unlike sintered (metal bond) where diamond particles are buried in bond and held together by metal binder deep inside. The core bit allows diamond particles to protrude from the bond matrix, providing a free, faster drilling action with minimum heat generation. For diamond drill bit diameters 10mm to 38mm we use high quality 10mm high quality crown (ring) diamond segments – This helps for an easy start-up when hand held drilling. For core bits diameters 40mm to 500mm we use high quality 10mm high diamond segments with castellated tips to insure an easy start-up and fast opening of the segment.Usually customers will choosing the thread of 1-1/4-7. 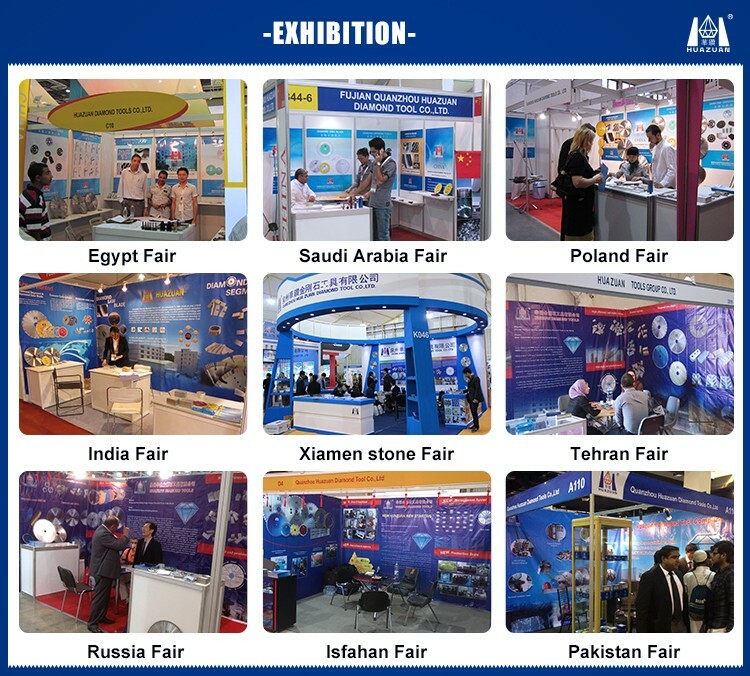 3.Rich experience in Global market, export to more than 60 countries. Q:Are you a factory or trading company of diamond core drill bits? Q:Where is your factory located?How can I visit you? 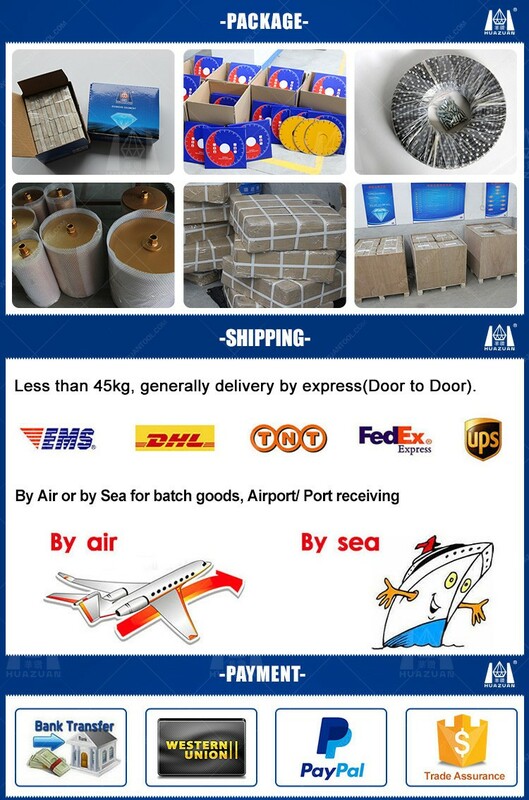 A:Our factory located in Quanzhou City,Fujian Province,China.You can fly to Xiamen International Air Port or Jinjiang Air Port,and we will you pick you up.Welcome you to visit our factory. Q. How is your quality of core bits? A. 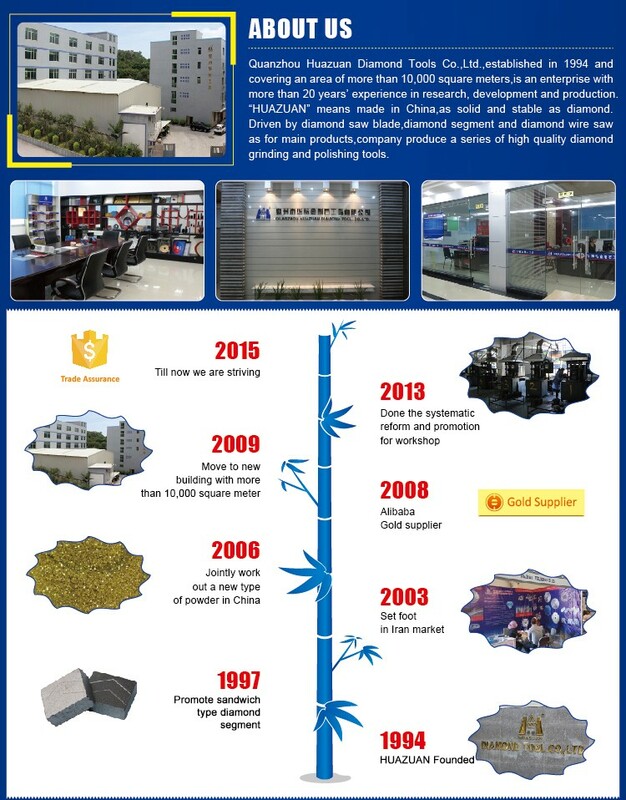 We have a very seriously control system(ISO 9001 and SGS product quality control) and 100% QC inspection Before Shipment. 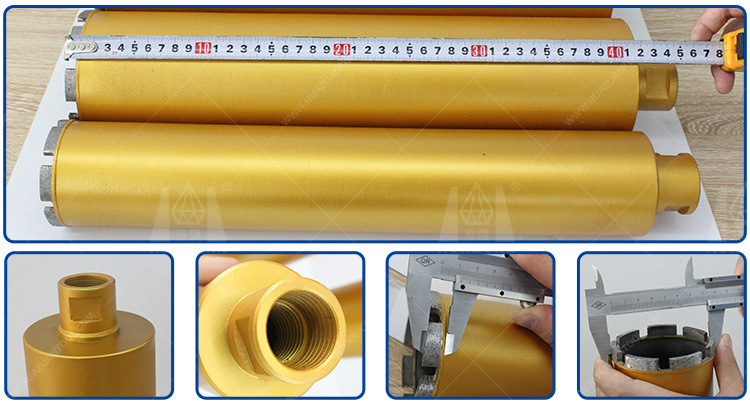 Q.What we should do if your diamond core drill bits can not run well? A:Please don’t worry we will solve this problem with yourside. Give us detailed report.Analyze the reason.Try to find a way to solve the problem. If it’s our problem and not possible to solve then will give replacement. Q. 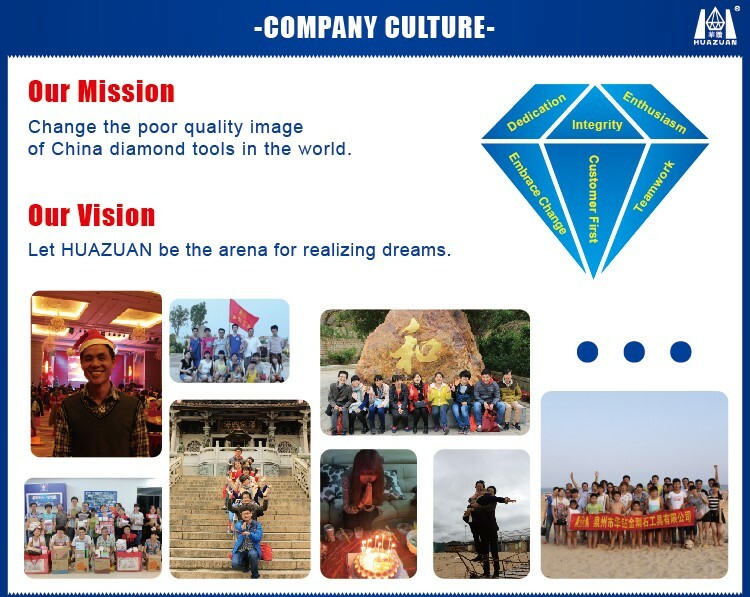 Do you have different quality for different kind of stone? A. Yes, according hardness of stone and stone’s feature, we have different typology respectively. Q. If we need technical support, can you offer us? A. Yes, we have an experienced team, offering our customers additional benefits with specific advice, by our product managerment staff, engineers and technicians. This entry was posted in Drill Bit Mfg. 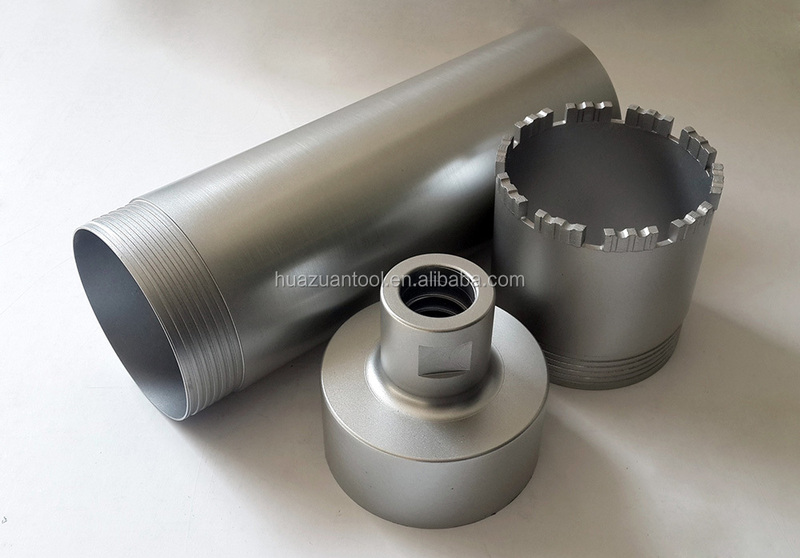 and tagged Diamond Tip Drill Bits, Different Type Diamond Core Drill Bits For Drilling Different Material Concrete Granite Marble Tile, High Quality Diamond Core Drill Bits, Hollow Core Diamond Drill Bits.